I’m taking a break today, as are many of us. We should bear in mind, however, that the whole reason we have the freedoms we do, such as a day off, like today, is because of the sacrifices made by those who served in our armed forces. Had our soldiers not given so much of themselves in World War II, we might have been conquered by Germany, or Japan. Every American who defended against the Japanese attack, and every American who fought in Europe against the Nazi scourge, were the very definition of the term “heroes.” The same holds true for every other U.S. Veteran in every other conflict, right up to today. We ask a lot of our Military. We ask them to take minimal pay, and march off to foreign lands and put up the good fight. Then we ask them to come home, and blend back in. We can debate the reasons for this or that war all day long, but soldiers have to be above that. And they are. 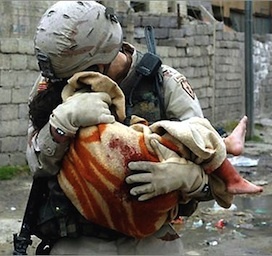 Today, as we have our military personnel returning from Iraq and Afghanistan, bear in mind that even if they have all their limbs, they have seen things and lived in conditions that would cause any one of us trauma, even as a bad dream. There isn’t enough money in the world to pay them for that part of themselves they leave behind as they carry out their orders. And those are the lucky ones. Many come home broken, or in pieces, or dead, in a box. Next time you see someone in uniform, look them in the eye and thank them for serving their Country. Our Country. After all, you thank the clerk at the gas station who gives you change, don’t you? Don’t you think our Heroes deserve an an often overlooked, but much overdue expression of appreciation? For all the degrees, honors, fame or fortune a person can get, or earn, I don’t think there’s any, or all of it, that equals the distinction of having served in our armed forces. The very fact that you’re reading this as a free person means you should thank a Veteran. So I’d like to issue a profound “Thank You” to all of the people who have, or are serving in the U.S. armed forces. God Bless you all for your incredible sacrifices on your Country’s behalf. I only wish there was some way to repay you for that beyond our boundless gratitude.